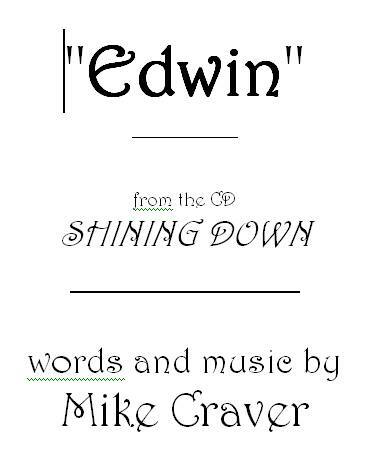 Sheet music for the song "Edwin", from the album Shining Down, by Mike Craver. Vocal and piano score. Chord symbols included. Key of E flat. 6 pages.